Smyrna is located in Rutherford County TN, according to the 2010 census the population is 39,974 people. Smyrna is known as "The best place in the USA to retire". There are so many relaxing things to do here. Many parks and landmarks are here which is what people moving here or visiting come to see. Smyrna has 10 parks, a public golf course, 7 miles of trails, an outdoor water park and a public fitness center located in Town Centre. The size or Smyrna is about 23 miles total. Not to big but not to small. Homes for sale in Smyrna are rapid, people are constantly moving here. HHG keeps up with homes for sale in Smyrna, we always keep up with the market around the Nashville Tn area. Come visit and if you decide you want to stay.. call HHG! 2621 Almaville Road, a Smyrna home for sale in the Arlington Sec 1 subdivision, is a stunning brick house that has a super location and tons of space for a family. This home has 3,143 square feet, 4 bedrooms, and 2.5 bathrooms. 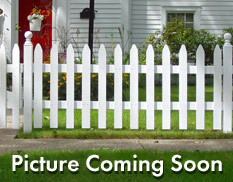 It’s picture perfect, available for less than $360,000, and waiting for you! Just seeing 2621 Almaville Road from the street will bring a smile to your face. A large yard, beautifully manicured with its own fountain, greets you as you walk up to the front door. The half-acre lot means lots of room for the kids to play with their friends, or plenty of peace and quiet if you just want to relax outside and soak in the spacious scenery. The huge backyard is fenced in for privacy. Inside, you’ll find hardwood floors in the spacious living room (272 square feet with fireplace) as well as new carpet and paint. Large windows let in tons of natural light and set a warm, friendly tone for the room. The chef’s kitchen of this Arlington Sec 1 home for sale has been dramatically upgraded with a hood chef system, granite countertops and an Italian slate back splash. Eat your meals in the breakfast room as you stare out the window or have a big family dinner in the gorgeous dining room that openly connects to the kitchen. The huge bonus room of 2621 Almaville Road measures more than 570 square feet! Make it a playroom, game room, or just a place where the kids can play while you relax somewhere else. Come see why 2621 Almaville Road should be your next home! Schedule your private walkthrough by calling Holloway Home Group ace listing agent Erin Holloway at 615-939-4085 or emailing her at erinhhg@gmail.com. Don’t let this fantastic Arlington Sec 1 home for sale get away – call Erin today!